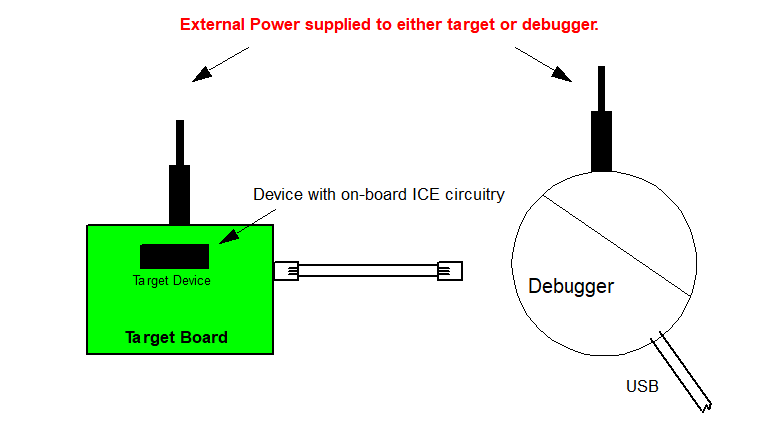 The debugger is connected to the computer via a USB cable for communication and debugger power (not target power). The debugger is connected to the target application for communication and data collection. Refer to Connecting an RJ-11 Type Cable to an RJ-45 Socket for pinout information. The MPLAB® X IDE software must be installed prior to connecting the MPLAB ICD 4 In-Circuit Debugger. 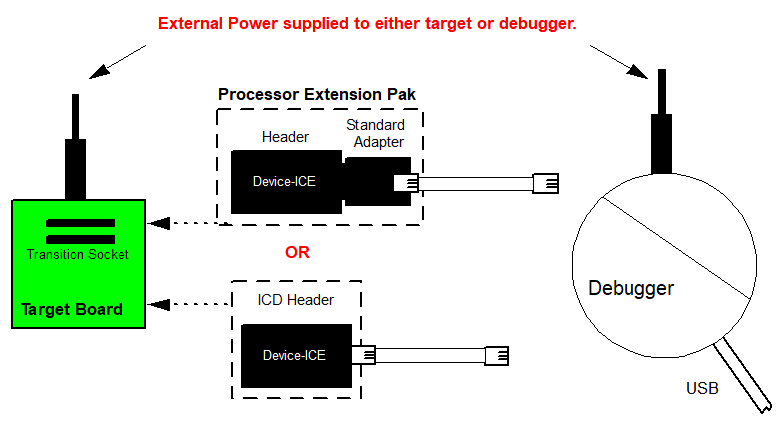 The power supply (not included) is connected either to the target application (preferred method) or the debugger to provide power to the target. The debugger system configurations are discussed in the following sections. a standard adapter/header board combo (available as a Processor Extension Pak), which is then plugged into the target board (see Figure 2).